Hello Stan Winston School of Character arts! I just thought I'd show you guys one of the early special effects projects that I did! For Halloween in the year 2011, I made a Parody of the classic horror movie "A Nightmare on Elm Street" for my YouTube Channel. 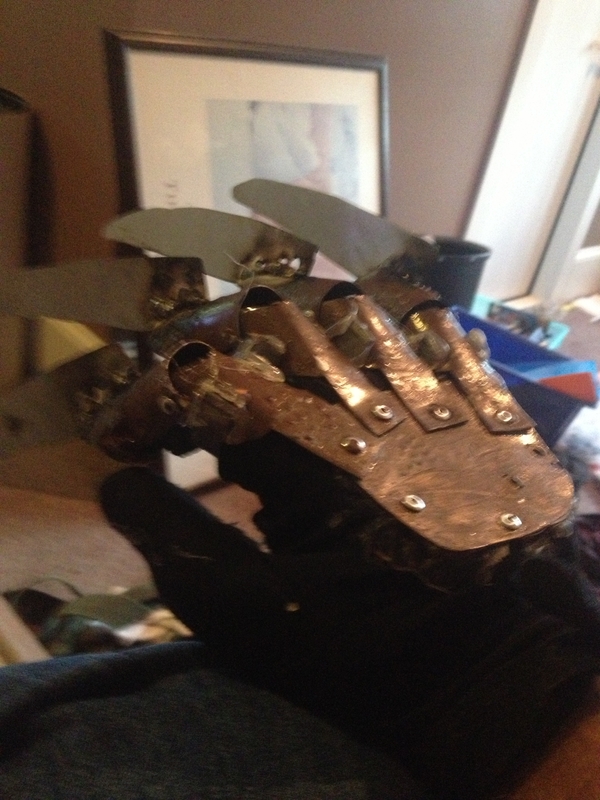 In the attached picture, you can see the glove that I made for it! You can also go to the Following link to see my Freddy Krueger doing his thing! Great job on the glove!